Widely-known as a contemporary art collector, Daisuke Miyatsu has been fascinated by art since his childhood and started to collect contemporary art by the time he was 30 years old, buying works that he could afford with his salary. With over 400 pieces, Miyatsu's collection also includes works by now internationally-acclaimed artists which were created at the very beginning of their career , thus representing today works of pivotal importance. On the other hand, the collection of Kasama Nichido Museum of Art has been focused on Yoga (Western-style) paintings since its foundation in 1972 until today. Its Impressionism to Ecole de Paris Collection has been highly requested on a national level, as well as by museums abroad, allowing viewers from all over the world to enjoy its masterpieces. This exhibition, "Daisuke Miyatsu Collection x Kasama Nichido Museum of Art - Blending the quintessence of modern and contemporary art" , embodies the attempt to show these two collections from a new perspective, going beyond the categorization of modern/contemporary artworks based on their provenance, origin, date of production and so forth. Here, it is the common points in the works to set the tone of the exhibition. Ryusei Kishida's painting, "Village Girl" (1919), facing Yoshitomo Nara's "Untitled" is indeed apparently-innocent, thus it brilliantly shows the brutality of the young girls at different times. 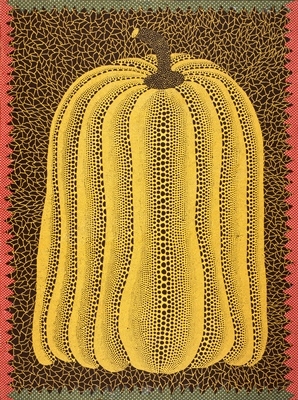 Moreover, Yayoi Kusama's "Pumpkin" (1981) and Rene Magritte's "View New York" (1946), Henri Matisse's "Woman by the Window" (1919-20) and Olafur Eliasson's light installation "Window Projection for Daisuke" (2005); these are some of the 35 works pairing which will be presented. With this exhibition we would like to invite viewers to compare this wide variety of works from the 19th century until today and enjoy the strong spirit that brought these collections together , along with the great possibilities art possesses.